As part of Open Access Week, we are running a series on the state of Open Access around the world. Today’s entry comes to us from Anne Kempen, who looks at Open Access in Europe. What is the state of Open Access books in Europe today? What are the key challenges as of today? 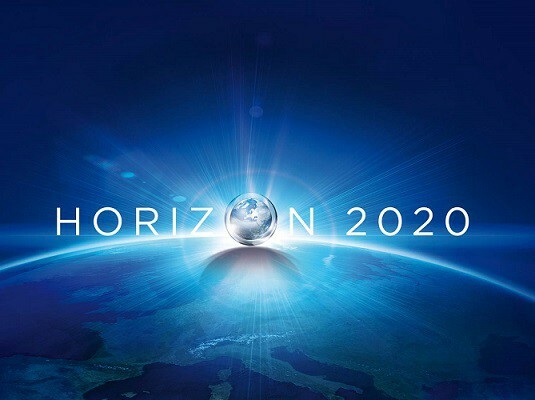 Even though with Horizon2020, ratified by the European Council in 2010, the EU has taken a clear position in favour of Open Access, the European landscape is still scattered and approaches to realize OA often end at national borders. National funders, private funders, university libraries, national science ministries and in Germany the federal states: Everyone has their own OA policies and visions. That makes the situation for authors and publishers difficult. They lack a clear partner and need to negotiate terms with each institution individually. Funding for OA books is still hard to obtain, with the exception of Austria and Switzerland, where authors can benefit from funding of national research organizations. The newly launched COAlition S between major research funders in the EU might resolve these national differences but it remains to be seen if they can agree on a policy that is better than the lowest common denominator. Another challenge in Germany is that the institutional community is used to the established frameworks of the OA journal world, especially the payment of article processing charges (APCs). It is quite common that universities fund APCs for articles authored by their faculty members. However, this system can’t be transmitted so easily into the OA book world. Publishing an OA book requires higher financial support, something that might overstrain budgets of single institutions on the long run. Furthermore, the installment of universities as funders for book processing charges doesn’t give credit to the fact that publications are often the result of cross institutional and international research groups. A consortium or crowdfunding model might be the answer. That is why we are experimenting with those new business models in different projects. What are the challenges for OA books in the future? Book publishing needs to assume the real advantages of digital publishing. That starts with the bread and butter of enriching an eBook with high quality metadata. This is a field where books can learn from journals, where we already have a better uptake of standards such as DOIs, ORCIDs and FundRef identifiers. There is a second field where books can learn from journals: The importance of usage statistics. At this early stage, most funders do ask about services included in OA book publishing, such as copyediting, optimization of graphics or the production of a print book. The questions on how the eBook is distributed and the measurement of the impact of the book comes after. However, both aspects are equally important. With the question on eBook distribution and usage measurement, we are touching upon a third challenge: As OA books can be shared widely and are, in most cases, hosted on several platforms, we need to make sure that data about a book, such as download numbers, are harmonized across these platforms and can be reported together. We also need to work on better metrics that reflect the unique characteristics of a book. What would you change first for making OA a reality in Europe? If I had a magic wand I would first tip it on every university library’s bank account and provide them with a decent OA budget of which a good part is dedicated to OA books. This way they would have the chance to experiment with Open Access and gather experience in the field. I would love to see if they come to the conclusion that a cross-institutional funding of OA books is the best solution. In any case it would be great if authors didn’t have to worry anymore about funding for their OA book. What does this year’s theme, “Designing Equitable Foundations for Open Knowledge” mean for Europe? There is, of course, the EU and European perspective on the topic, which brings us back to my initial observation that the OA market in Europe is still a very national one. We need to overcome these national solutions and reflect what is already a reality for every author: Research is international, so should be OA solutions. “International” doesn’t stop a country borders and it neither stops at European borders. The European discussion often doesn’t take into account that institutions in other regions of the world don’t have the funds to support their authors with the same financial means. We should be careful not to establish structures that do only work for western nations with a high research and development spending. Here again, a crowdfunding or cross-institutional business model would help to design equitable foundations.